On Sunday I did a deal with my husband. I am part of the cake contingent whereas he is firmly planted in the beer brigade. Wherever possible we like to combine the two - cue places like Home Sweet Home. On Sunday we were meeting our dining partners in crime for a spot of Sunday lunch, so we made the most of our trip to Manchester by popping back to the Cake and Bake Show and then visiting Brewdog. Brewdog was set up by two pals from Scotland who were fed up with yellow fizzy lager. They put their necks on the line and started producing their own craft beer, then sold it at farmer's markets. Six years later they have eleven bars in the UK and another planned for Stockholm. As well as selling beer in their bars, they also ship bottles to some small retailers and most supermarkets: they even run their own 'beer schools'. 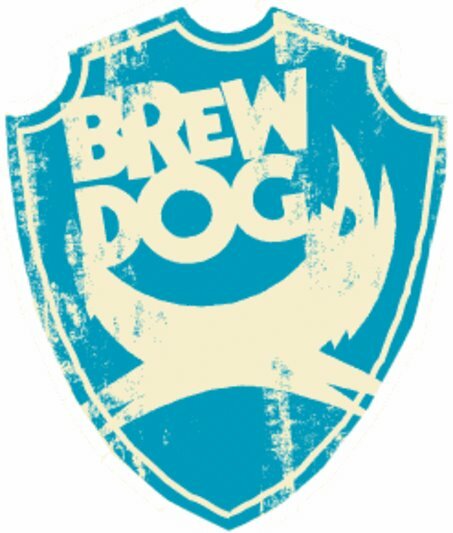 Unlike the other craft beer venues in Manchester, Brewdog is a little more modern and far removed from ye olde English pub. It has a large glass fronted exterior and comfortable yet modern booths and tables inside. Whilst they produce their own brews, they also have an excellent range of craft beers from around the world, and always have something interesting on tap. Not sure what to pick? Just ask, their advice - it is vast and impressive! Their food is pretty good too. We weren't eating until 3pm, so decided on a meat and cheese platter. This is the perfect accompaniment when boozing, or if you just find yourself overly peckish! We shared this one, which looks quite small on the picture below, but rest assured it was in fact massive. 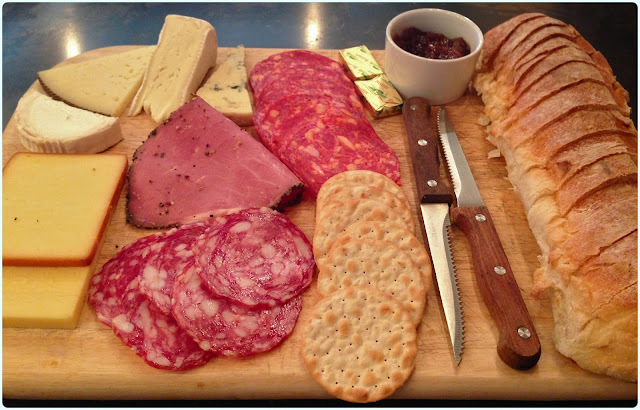 It came with a selection of six different cheeses, three meats and bread and crackers. Highlights include the peppered beef and the wonderful smoked cheese! The loaf of bread comes half sliced and is served warm. It also includes a little pot of sweet onion chutney. It was perfect for us because we like opposites - I was all over that smoked cheese whereas my husband was all about the stilton. It's worth nipping into Brewdog for this platter alone! They are predominantly about the beer, but also do brilliant burgers and pizzas too. Don't rule them out as a viable lunch venue just because they focus on the beer.